The Lematang are a people group who mostly live along the banks of the Lematang River and the surrounding area, stretching from Lahat Regency to Muara Enim Regency. In the Lahat Regency, they live in the districts of Pinang Island, Lahat and Merapi. In the Muara Enim Regency, they live in the districts of Muara Enim, Gunung Megang and Tebat Agung. The land where the Lematang people live is located about 25-100 meters above sea level. The Lematang dialect is similar to the Enim dialect. Frequent mixing of the two people groups may cause this similarity, or it may be that the two groups have common ancestors and their dialects diverged due to geographical separation. The Enim people live along the Enim River, which flows into the Lematang River. In the city of Muara Enim, where the Enim River and the Lematang River meet, it is very difficult to distinguish between the Lematang and the Enim. There, the two groups have largely assimilated. A person living in Muara Enim could be considered both Enim and Lematang. The Lematang dialect is part of the Musi language which also includes the Pegagan, Musi, Rawas, Palembang, Penesak and Belide. Unlike the Sunda and Jawa languages, the language of the Lematang does not have different levels of speech with different sets of vocabulary connoting levels of social distance. However, there are still different ways of speaking the Lematang dialect to show familiarity or politeness. Older people usually use the more polite way of talking to one another. Children also use the polite way of speaking when addressing older people. But older people will use the more familiar way of speaking when addressing children. Younger people address one another using familiar speech. Thus, one's manner of speaking, whether familiar or polite, is a measure of the level of respect that one gives to the person with whom he or she is speaking. The relationship between the Lematang and outsiders is usually fairly amicable. However, the Lematang consider the characteristic of arrogance to be a major social barrier. The Lematang have an expression: "Do not marry an arrogant person." Arrogance is largely measured by the quality of a person's relationships. They are also happy to pacify outsiders who come to their area by saying that their area is safe. This demonstrates that the Lematang are open to a relationship with anyone, but value politeness and respect. Cultivation of rubber trees is the primary livelihood for the Lematang people. For the Lematang who live near the river, wet rice cultivation is another way to make a living. One interesting characteristic of the Lematang is that they are usually more diligent in work when they live outside of their own area, for example, in the Lembak area. Lematang people who live outside their own area might sell cassava leaves, fruit and do other small jobs to generate a small income. These livelihoods are outside of what Lematang people typically do in their own area. 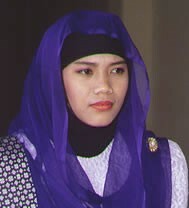 Lematang people are followers of Islam. Animistic beliefs are still held by the Lematang as well. Almost every year someone drowns in the Lematang or Muara Enim Rivers and is found a few days later. The Lematang believe that these drownings are caused by a spiritual being which takes the form of a white crocodile and lives in the river. Tourism could be developed as an industry along the Lematang River, which is a beautiful area, especially in the upper parts of the river between Pagar Alam and Lahat. This is one way the economic level of the Lematang community could be raised. View Lematang in all countries. Location in Country: Sumatera Selatan Province, widespread in northern 2 thirds of province; Musi river upstream to Bukit Barisan mountains, downstream to eastern coastal swamplands; into northeast Lampung Province; a few small border areas in Jambi and Bengkulu provinces.